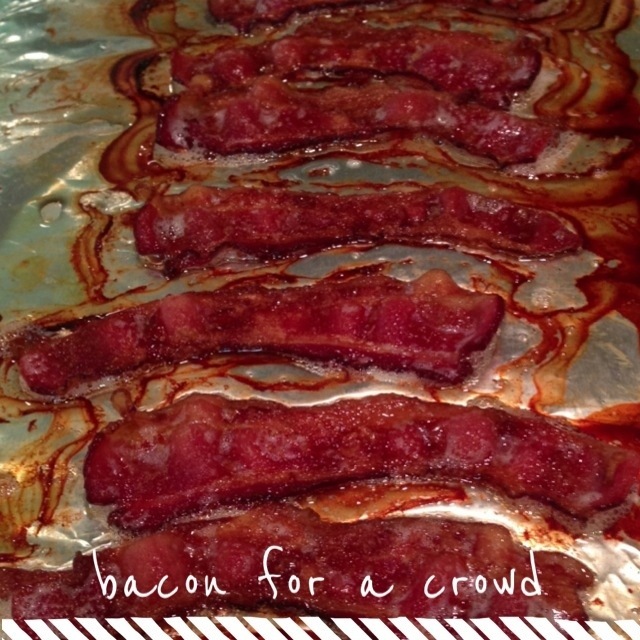 simple sunday: bacon for a crowd | Is there any wine left? This is really more of a technique than a recipe, but I just discovered my new favorite way to cook bacon and want to share it. Its that simple. Why didn’t I think of this before? I saw this method on Pinterest a few months ago, but never got around to trying it. Now that I have, I will definitely do this when I have a crowd. Lay out as many pieces of bacon as you can on a rimmed-baking sheet lined with parchment paper or foil. Into the oven they go for 20 minutes at 400 degrees F.
When they are crispy and browned, pull the bacon out of the oven and drain on paper towels. You can cook multiple baking sheets of bacon at the same time in the oven, making this a great method for making bacon for a crowd! ps. 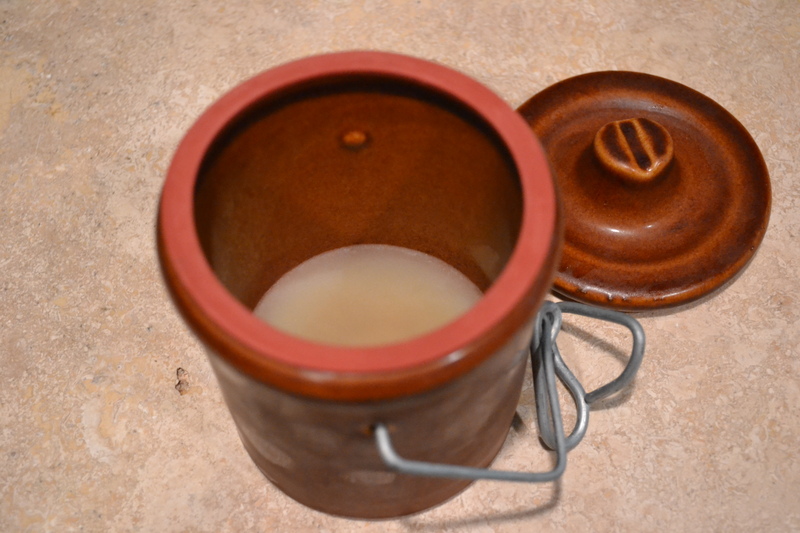 who else saves their bacon fat? We keep ours in the crock pictured below in the refrigerator. If you aren’t saving it, you are missing out on delicious fried eggs, roasted potatoes, and gumbo – just to name a few things!